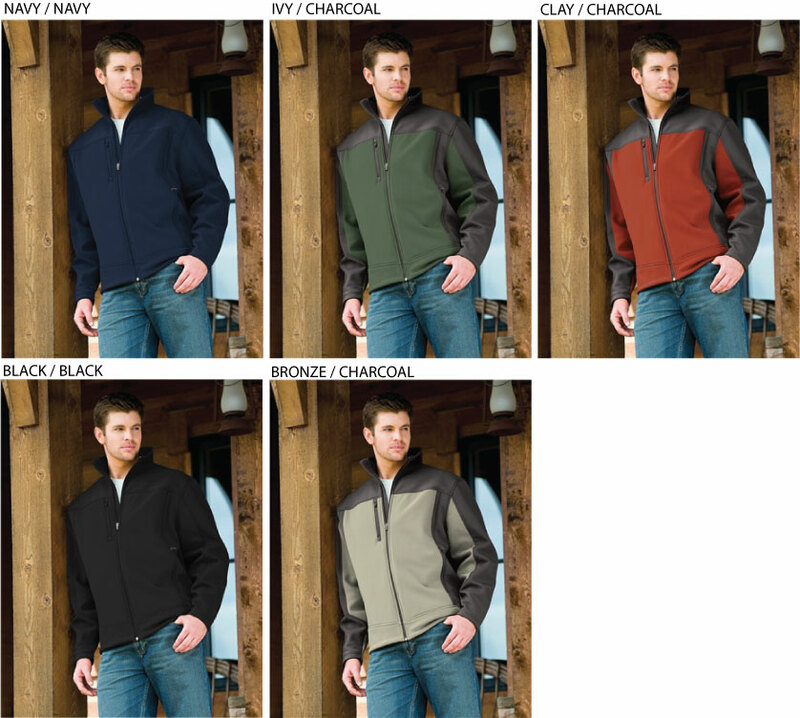 Tri Mountain Waterproof - 6825 Rockford [TM6825Rockford] - $66.24 : Sogowear Outfitters!, Polo Shirts, Golf Shirts, Jackets, Fashion Fleece, Woven Shirts and More! 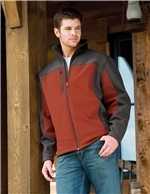 The 6825 Rockford from Tri-Mountain is a poly stretch bonded soft-shell jacket with a Sherpa fleece lining. The 6825 Rockford will help keep you feeling warm and looking cool all at once. The Rockford is a soft shell jacket, featuring a 3-layer construction consisting of a stretch windproof/water-resistant outer shell made of 88% polyester and 12% spandex bonded to a heavyweight 9.3 oz. anti-pilling Sherpa fleece lining, with a breathable laminated film insert in between. Accented with a chest and front zippered pockets with zipper garage and inner chest pocket and fleece-lined chin guard. Open cuffs and bottom with draw-cord hem for a custom fit. Colors: Navy/Navy, Ivy/Charcoal, Clay/Charcoal, Black/Black, Bronze/Charcoal.